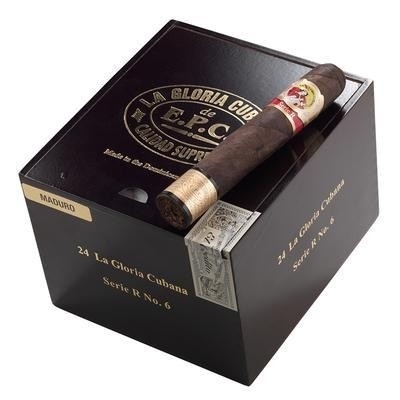 La Gloria Cubana Serie R cigar utilizes an Ecuadorian grown Colorado shade wrapper, or Connecticut Broadleaf maduro, concealing an extensively aged blend of Mexican, Dominican, Brazilian, and Nicaraguan filler leaves. The result is a richer, spicier, fuller bodied version of the regular La Gloria Cubana cigar line. Using thicker ring gauges, the Serie R helped pave the way for today’s thicker, bolder cigars.